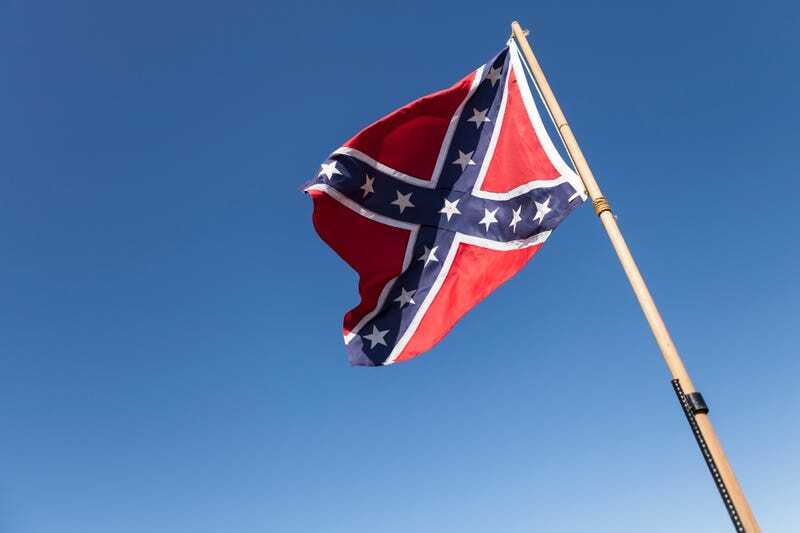 Annie Caddell had been flying a Confederate battle flag outside her home for some seven years, standing at odds with her neighbors and community members who tried to get her to take down what is widely seen as a symbol of racism and hate. Caddell, from Brownsville, S.C., roundly refused, once swearing that she’d die before she took down the flag flying outside her house. And then, the Post and Courier reports, she had a heart attack, and with it a change of heart. Caddell said that her recent heart attack and subsequent triple bypass surgery caused her to start “reflecting on every choice that I’ve made.” She is now apologizing to anyone she’s offended. When the 58-year-old moved into her home in Brownsville in mid-2010, she immediately decorated her yard and porch with Confederate flags, insignia and other decorations. For her, she claimed, it was about her heritage and remembering her ancestors who fought for the Confederacy; she didn’t see it as racist. But her community did, with more than 270 members signing a petition, demanding that the town step in. However, perhaps predictably, town officials ruled that Caddell was within her rights to fly the divisive flag. By early 2011, fed-up neighbors had pooled together money to build 8-foot wooden fences along the property line on both sides of Caddell’s house, blocking the flag from view from everywhere except the front. Caddell upped the ante, raising her flagpoles higher. Now her resolve and stance have softened. Caddell removed the Confederate flag Wednesday, putting up a state flag in its place. “After seven long years of battling my community over my Confederate flag, I made the decision that I would like to have unity in my community,” she told the Post and Courier on Thursday. Caddell went so far as to go to Community Resource Center founder Louis Smith for advice. Smith had recently been grappling with groups displaying the flag at the town’s Christmas parade and Flowertown Festival. Caddell’s flag was given to the Summerville-Dorchester Museum’s past president Ken Battle, who intends to pass along the banner to the Sons of Confederate Veterans. “What we’ve been hearing is that the flag should come down and be placed in a museum,” Battle said. “We offered to host such an exhibit, but we are still researching what it would look like. As for Caddell, she’s made peace with her decision and is looking to move forward.